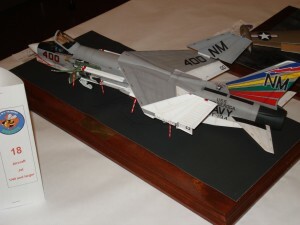 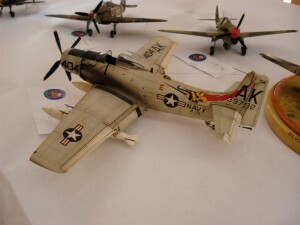 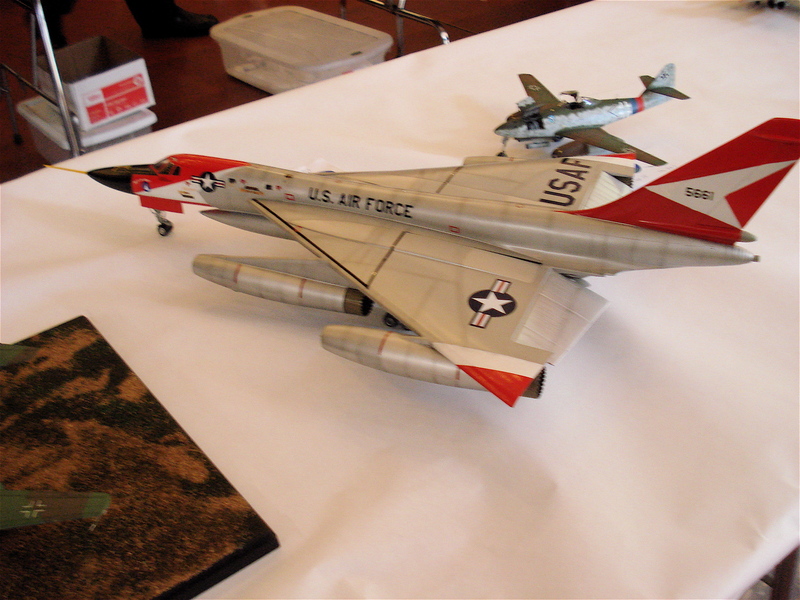 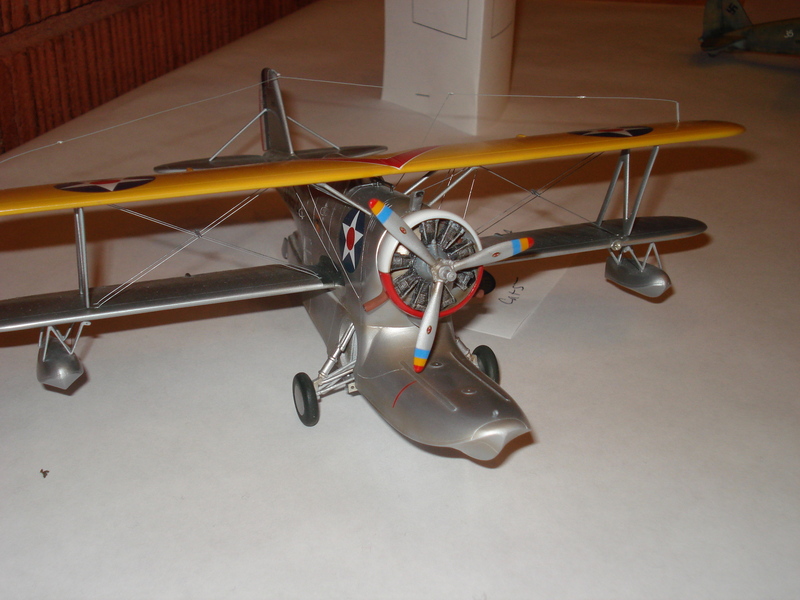 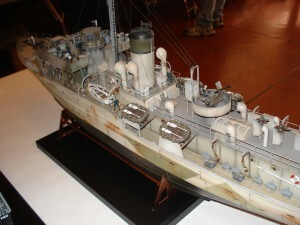 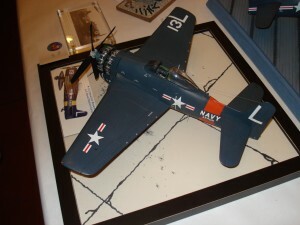 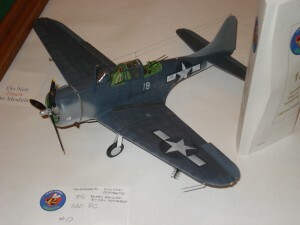 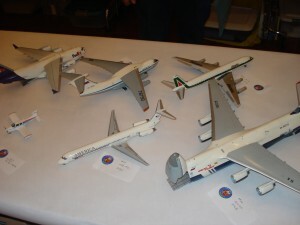 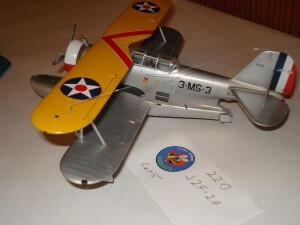 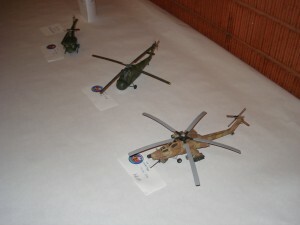 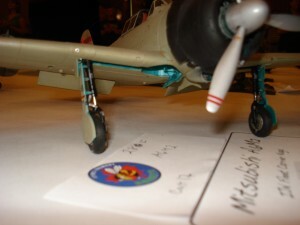 Attached are some of the photos I took at the 2009 Fremont Hornets model show in Newark California. 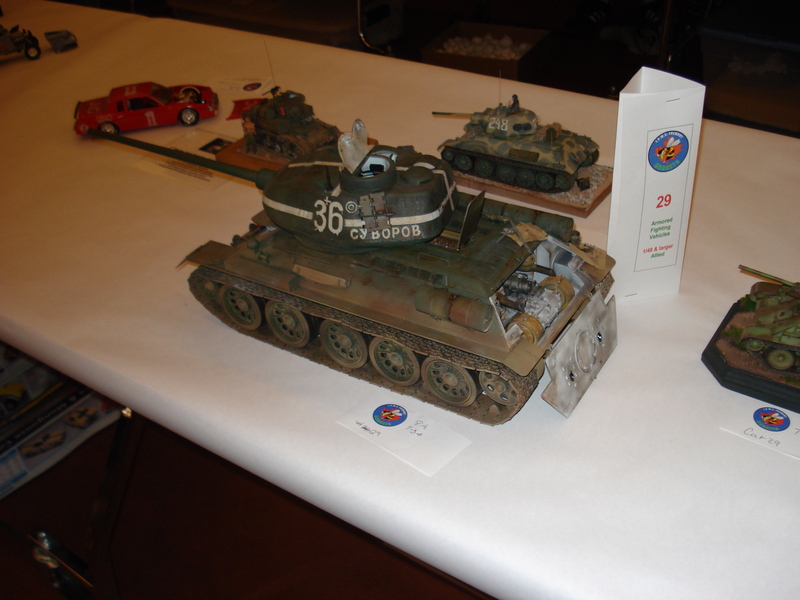 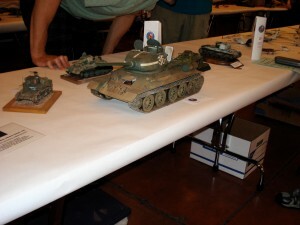 It was a wonderful show and I was fortunate enough to receive 2nd place in the 1/48 and larger Allied armor section for my 1/16 scale Russian T34/85 tank by Trumpeter (see last photo). The award plaques are unique in that they have Russian type writing – very cool. 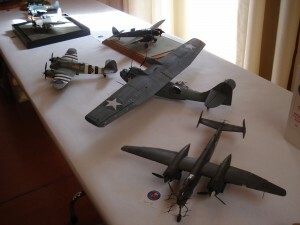 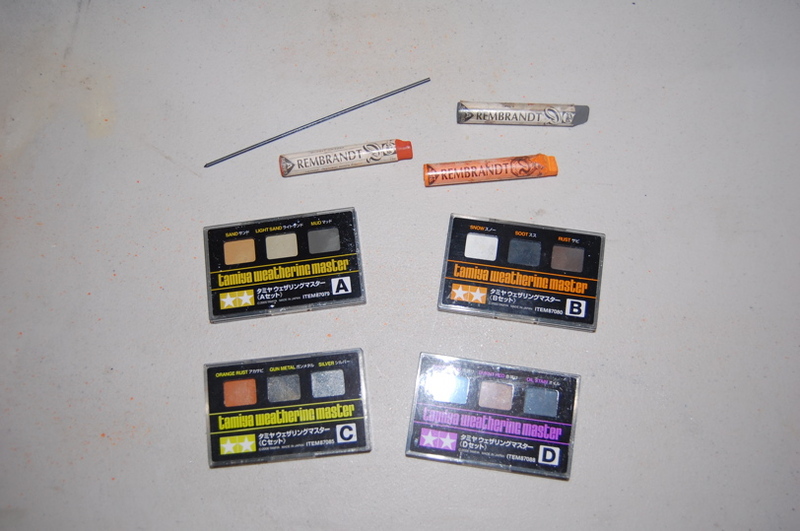 First off is a picture of the stuff I came away with. 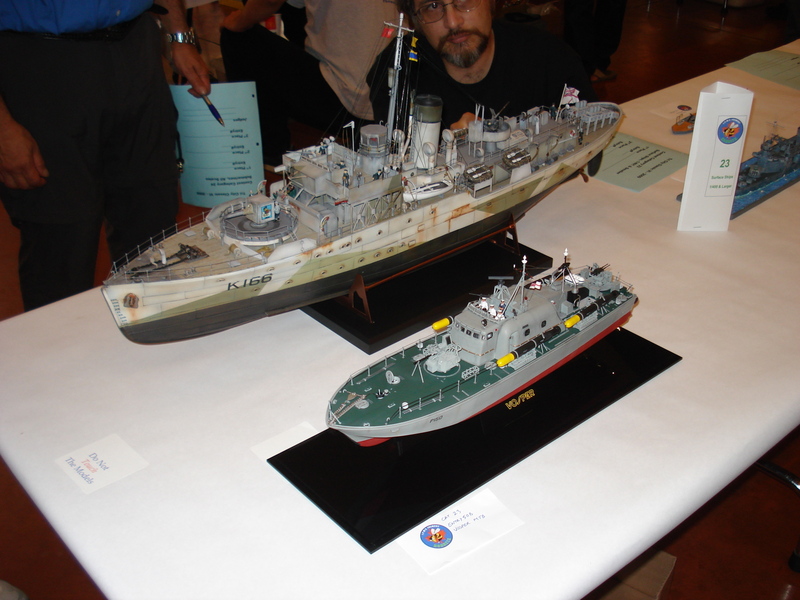 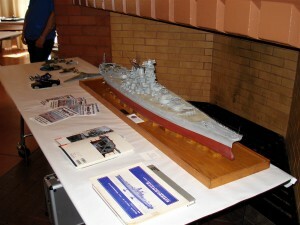 On the left is the 1/350 scale model of the Graf Spee by Academy that I won at the raffle. 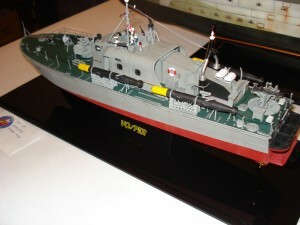 Judging from the pictures on the side with no previous knowledge of this model I was led to believe that it came with photo etch. 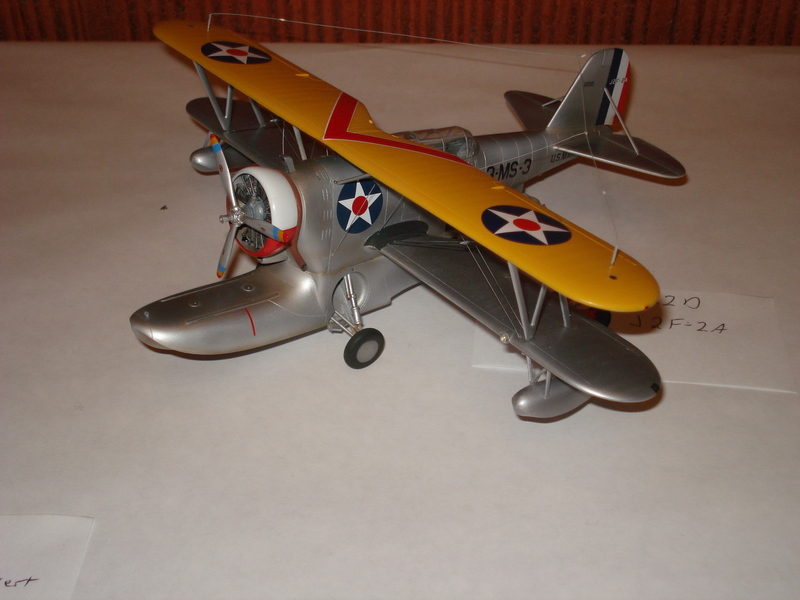 It doesn’t – and the reviews aren’t great on this model either – evedently the Trumpeter version is much better in every way – big goof on my part – I should have picked something else. 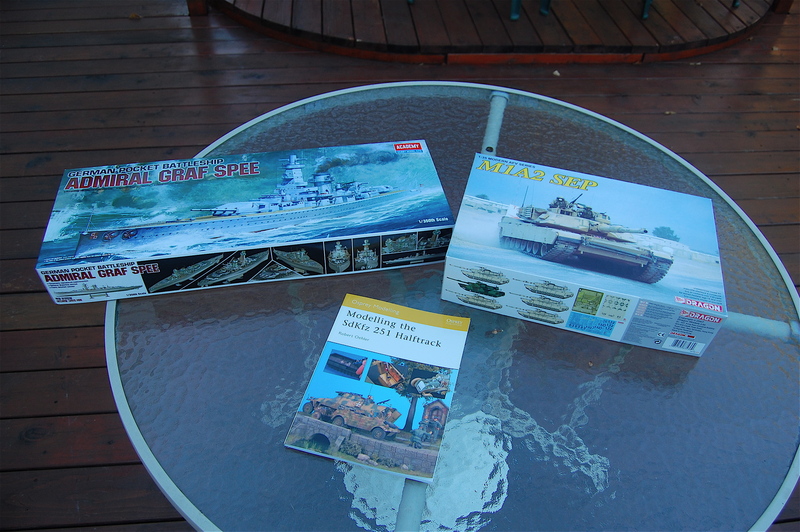 In the center is a book on detailing the WWII German SkKfz 251 halftrack – I have a model on one of these which I haven’t built so this may be of some use. I also won this in the raffle. 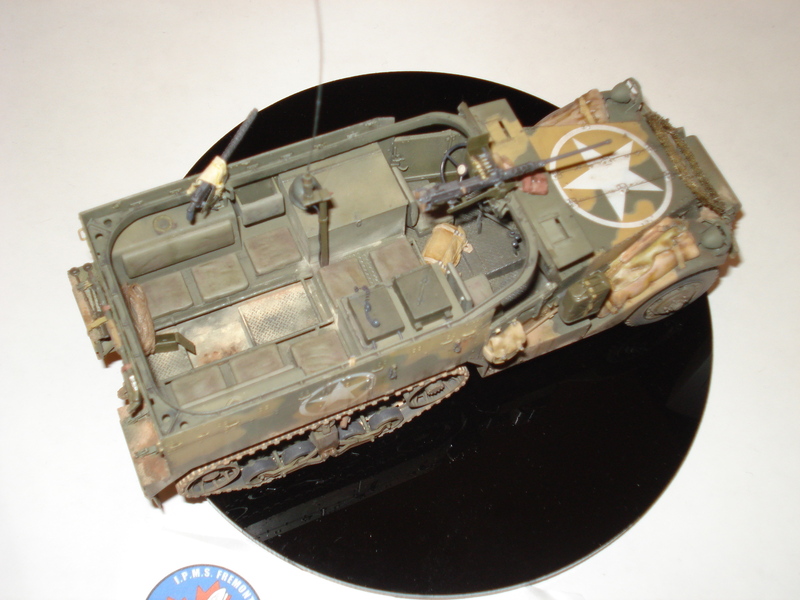 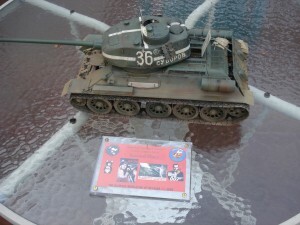 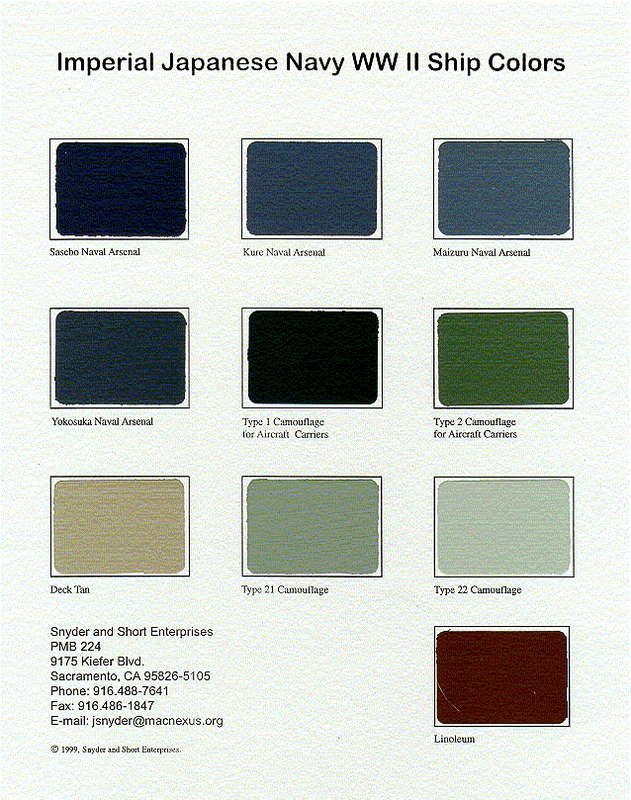 Last of all is the best of the lot to me – the Dragon 1/35 M2A1 SEP Abrams tank. This is simply the best model out of the Abrams and one that I’ve been looking for – I got this from a vendor for $25.00 – a very good price. 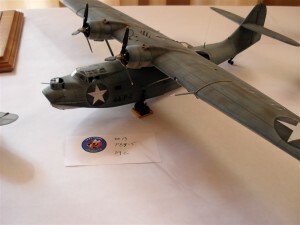 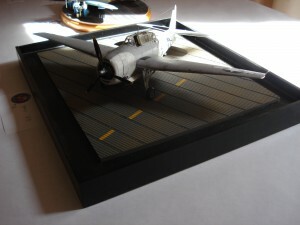 My venerable 1/32 Trumpeter SBD-5 didn’t place – I noticed when I when to pack up the model that the pitot tube was crooked. It isn’t glued in and I just didn’t notice the problem when I set the model on the table – I gotta pay more attention. 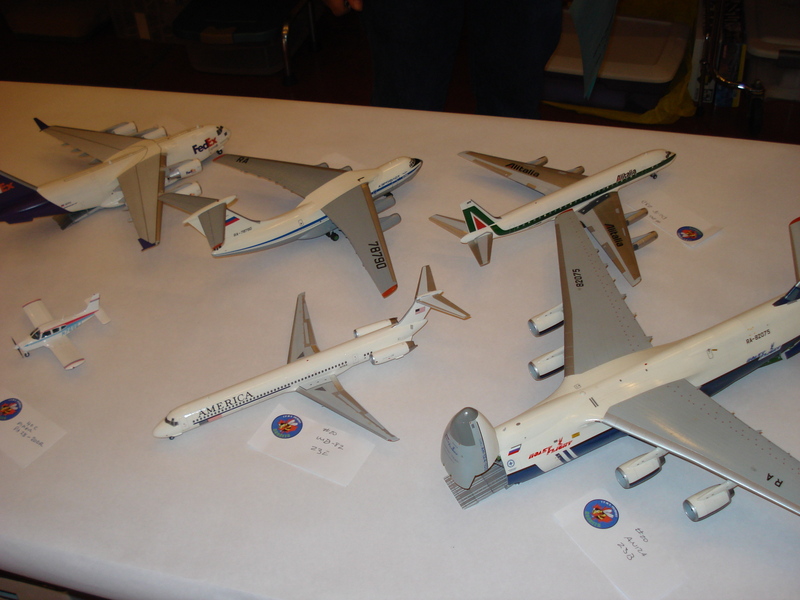 But there could have been another reason it didn’t place – maybe the other models were just BETTER.